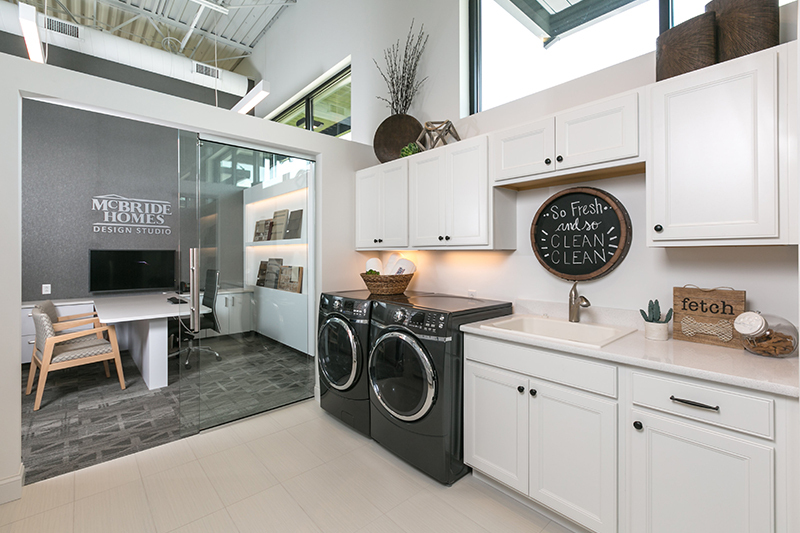 Congratulations to McBride Homes, winner of the 2019 National Silver Award for Best Design Center in the country. The customer experience! 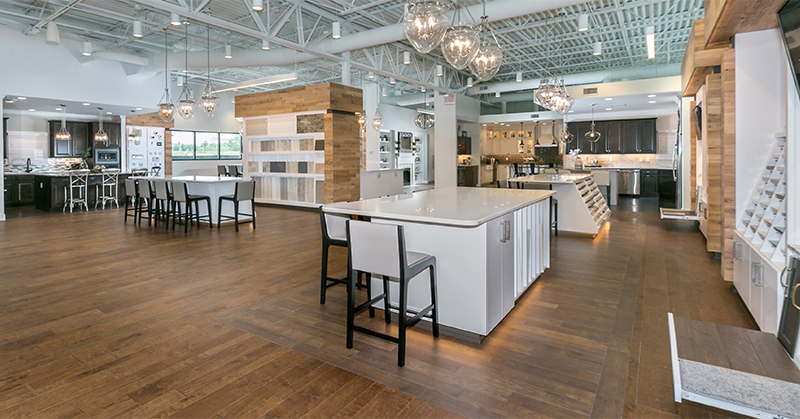 Our customers absolutely love the showroom, displays, and the high performing curated available choices! Our homebuyers have the best home buying journey in Saint Louis! Just 8 months ago each McBride homebuyer would have “color appointments” with the sales manager in their display home basement. We had over 40 display home basements being used as selection centers. It was extremely taxing to make sure each basement of each community had the same offerings, pricing for those offerings, color options, etc. Each sales manager had to be responsible for not only selling the homes in the community, but also responsible for all homebuyers selection. There was absolutely no easy way to train 40+ people the advantages and disadvantages of each finish product we offered. Just switching the from the display basement model to the design studio, our sales managers have nearly doubled their time they can focus on selling the homes. With our new Design Studio, homebuyers no longer have to make selections with small samples in a basement of a display home. Homebuyers now get a once in a lifetime opportunity to pick all their selections in a one stop shop – 10,000 square feet Design Studio. The Design Studio does not work though unless you have great people. Our design team are true design professionals with expertise that our homebuyers find so valuable. I think the biggest impact for us is the customer satisfaction increase and their top notch home buying experience. Our level of customer service has increased drastically since the opening of this building. It is really great to see. Our design studio has increased our revenue dramatically, and more importantly, significantly increased our gross profit per home! Since opening, our cycle time is way down and we have way fewer change orders! The home buying process is streamlined making both our sales team, design consultants, and homebuyers aware of when certain changes can be made and can’t. Our design studio being a free standing building on the largest highway corridor in Saint Louis – truly acts as a showcase for us. At night the studio stands out and people get a glimpse of our beautiful showroom. It truly is the best form of advertising. 7. How have you marketed your national award winning status? We are just in the process of marketing our national award winning studio. We have begun press releases, as well as doing some commercials of the space. We are getting the word out! “Your passion for our success is greatly appreciated! It is contagious. 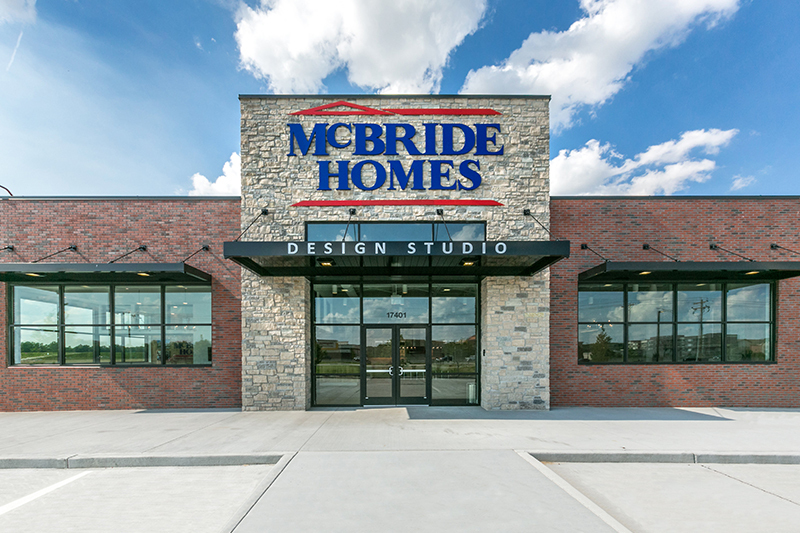 The Design Studio has been a game changer for McBride Homes! Both from the Customer Experience and from a profitability standpoint. You and your team are amazing. We would not have been able to pull off anything even close without you. You provide a value with an exponential return on investment. You provide all the tools for a company that wants to be successful, to be successful. Your experience in sales and sales management for builders gives you a great understanding of what builders deal with.